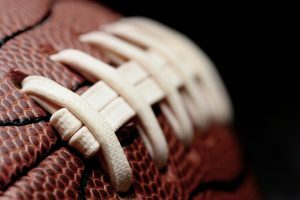 Japanese Restaurant Minneapolis: Football Season is Here! Moto-i Ramen and Sake House is only a few miles from U.S. Bank Stadium, and as the Minnesota Vikings get ready for the first season in their new home, we’re getting ready for plenty of hungry customers before and after each game. 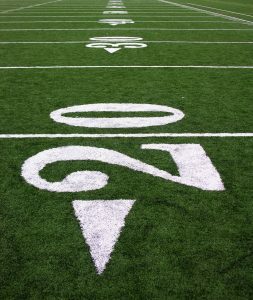 The regular season kicks off in Minneapolis on Monday, September 11th, as the Vikings host the New Orleans Saints. If you’re looking for a spot to grab a bite before you head to the stadium or somewhere to get a drink after the fourth quarter, we’ll be here! We may not have the seating capacity of U.S. Bank Stadium (which is just over 65,000), but we will do our best to find you a spot in our restaurant. If you’re planning to have a large group of people, be sure to ask about one of our private event spaces. Ramen Alley is perfect for parties of 15 to 45 people, and the Big Boy Lounge is able to hold 90 people cocktail style, or 30 for a sit-down meal. Our rooftop lounge, Stryker’s Lookout, is unfortunately closed during the fall and winter months and besides, you don’t want to be cold while you’re enjoying your Japanese cuisine! We offer a happy hour menu every day from 2:20pm until 6:00pm, but on Sundays through Thursdays, you can also enjoy happy hour prices from 10:00pm until 2:00am. If you and your friends are looking to celebrate a big Vikings win, swing by our bar and enjoy great deals on pork belly bites, plum wings, and several other options. Tap beer is $4.00 a glass, as is our house wine, and you can get sake at half price. If you’ve never had sake before, what better place to have it than at a local sake brewery? Our wait staff and bartenders will gladly explain the different types of sake that we offer, and we know that you’ll find one you like. 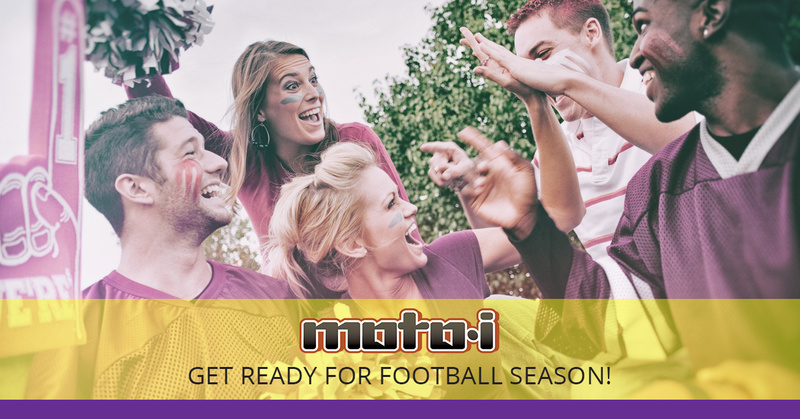 Football fans always have their traditions and superstitions, and Moto-i would love to be a part of your fall routine. We open at 11:00am on Sundays, so if you want to grab a bite before you head to the stadium for an afternoon or evening game, we’ll be here to serve you. If you love to tailgate and then go out after the game, we’re open late and would love to see you. We’re just a short drive down 35W to Exit 14 onto W 35th St, then head west for a few blocks and come up Lyndale Avenue South. We’re on the corner of Lyndale and Lake in the heart of the Lyn-Lake neighborhood. People in Minneapolis are serious about the Vikings, and at Moto-i, we’re serious about serving football fans the best Japanese food in the city. If you love traditional ramen or you’re looking for something different on a Sunday, stop by our restaurant for an outstanding selection.